Sure, it’s nice to be greeted by a furry face when you come home from work, but besides love are there any health benefits to pet ownership? Yes, indeed. Research suggests that living with pets can make you healthier, from lowering your risk of heart disease to increasing your overall fitness. Here are four ways pets are good for your health ─ though you can probably think of others. Studies by the Centers for Disease Control and Prevention and the National Institutes of Health indicate that pets can improve your cardiovascular health. Pet owners exhibit decreased blood pressure, cholesterol and triglyceride levels — all of which can reduce the risk for having a heart attack. And dog owners who have already experienced a heart attack tend to recover better and live longer than those without pets. Another study looked at people with high blood pressure. Those with pets were found to have lower heart rates and blood pressure than those without pets. 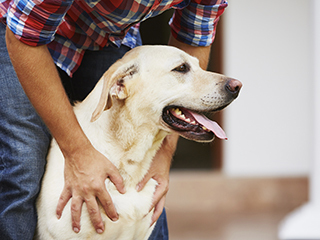 Pet owners also seemed to have milder responses and quicker recovery from stress when they were with their pets. These cardiovascular benefits are thought to be connected with pets’ tendency to help reduce their owners’ overall stress levels. In other words, it’s hard to be uptight when you’re stroking a purring kitty or scratching the ears of a tail-thumping hound. Pet owners are less likely to suffer from depression than those without pets, and Alzheimer’s patients experience less anxiety. Researchers think that playing with a pet elevates levels of serotonin and dopamine — nerve transmitters that are known to have pleasurable and calming properties. These are the same chemicals found in tobacco and some drugs that people abuse. To improve your mood, just say yes to pets. Some people believe that if your family has a pet, your children are more likely to develop allergies, and for that reason they refuse to welcome pets into their homes. However, a number of studies suggest that kids growing up with furry animals will have less risk of developing allergies and asthma. These kids are also less likely to have eczema, a common allergy skin condition that causes red patches and itching. The thinking is that exposure to pets at an early age may actually strengthen the immune system, making children less likely to develop allergies. Finally, several studies have shown that dog owners tend to get more exercise than other people. Dog owners who regularly walk their dogs are more physically active and less likely to be obese than those who don’t own or walk a dog. Those who regularly walk their dogs also walk faster and for longer times than others who don’t walk regularly. Older dog walkers also had greater mobility inside their homes than others in the study. 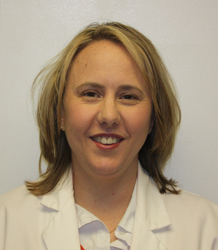 Rachel Sweeney is a Certified Registered Nurse Practitioner in MPCP’s Arnold office. She received her Bachelor of Science in Nursing degree from Villanova University and her Master of Science in Nursing degree from Marymount University. She is board certified by the American Nurses Credentialing Center in Family Practice.